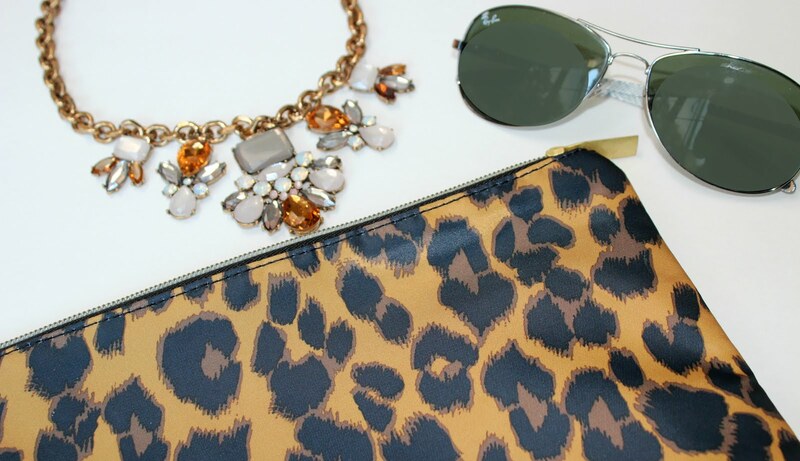 Every year when fall rolls around, one of the things I look forward to the most is swapping out my summer clothes and accessories for fall and winter ones. Cozy sweaters replace sleeveless tops. Jeans replace shorts and skirts. And boots replace sandals. As excited as I am to haul out my fall and winter wardrobe and accessories, I always seem to struggle with boot storage. Do I keep them upright in my closet or let the shaft flap down? I don't want my boots to become damaged, scratched, or scuffed, but I don't have the creativity to devise a scheme for keeping them looking brand new. 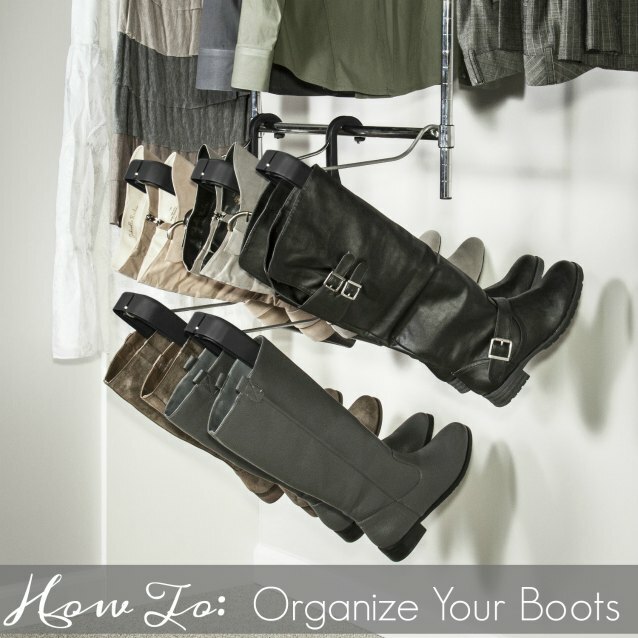 Boots are notoriously awkward to organize and store. Due to their general size, they tend to take up a lot of closet space. I decided, in an effort to finally organize my growing collections of boots, to give the Boot Butler® a try. 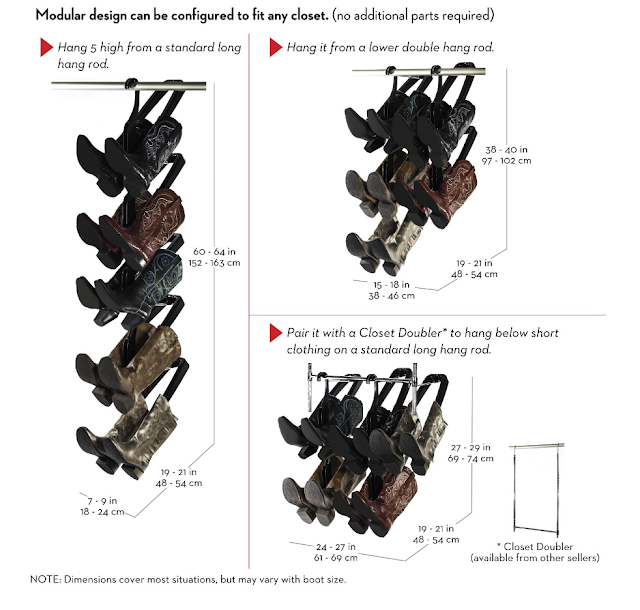 The Boot Butler® is a hanging boot organizer that promises to organize your boots in less space and less time than whatever system your currently using (which, if you're anything like I am, was a pile of boots on the floor). 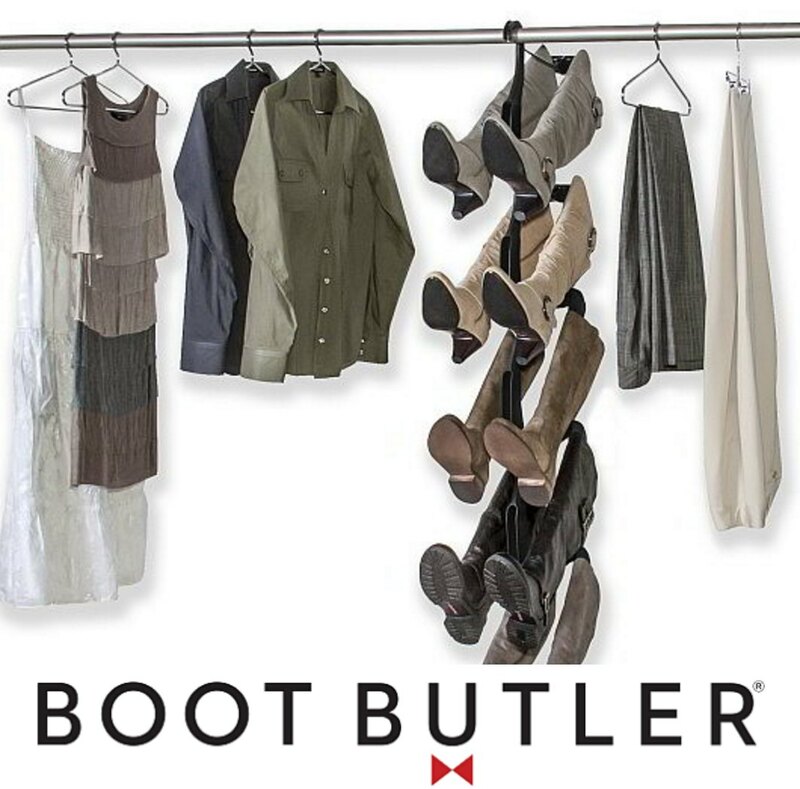 Get your boots off the floor, reclaim precious closet space, and get organized with Boot Butler®. 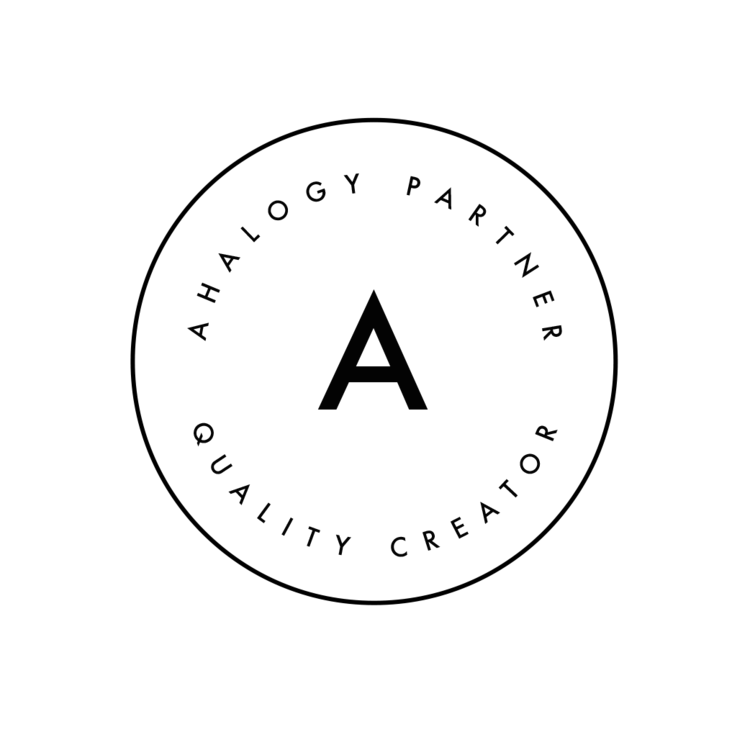 Here's how it works. Boot Butler® hangs from any standard closet rod and is designed to hold all types of boots from over-the-knee to booties to heavy work boots. 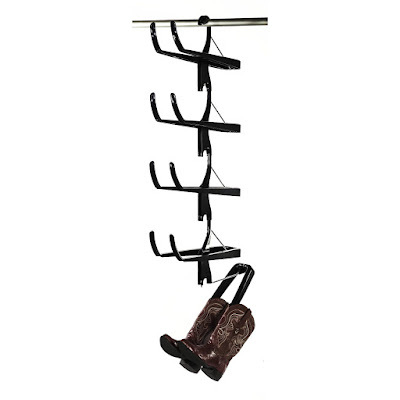 Boot Butler® is designed to fit in the shaft of your boot to gently cradle them and prevent creases. 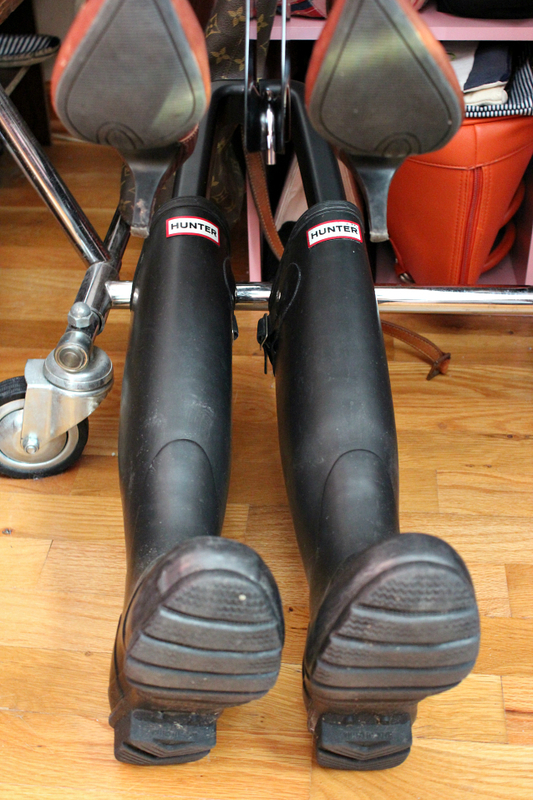 I was pleasantly surprised to find that Boot Butler® was strong enough to hold my Hunter wellies, which are quite heavy. I found the assembly to be quick and easy although when I pulled the pieces out of the box, I have to admit I was a bit overwhelmed. At first glance there are lots of components. Within minutes, every piece was assembled, and my Boot Butler® was hanging in my closet and holding five pairs of boots. 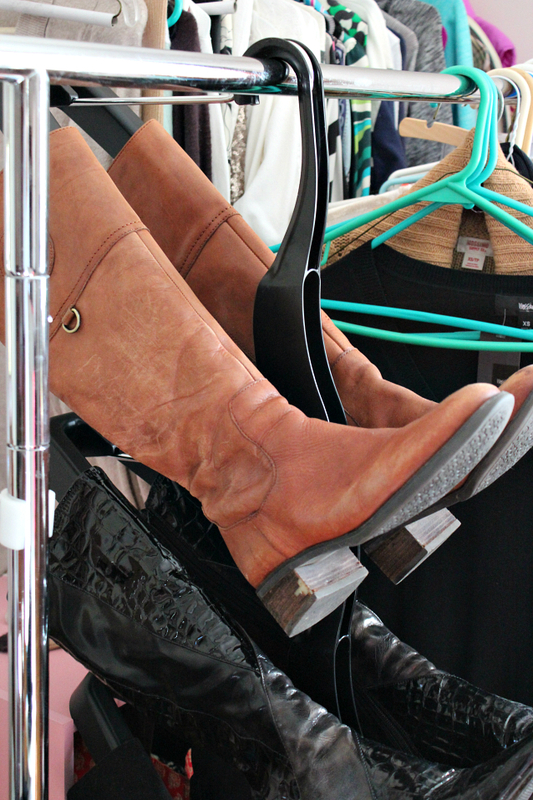 You can turn Boot Butler® around so that the boots either face in or out. Personally, I prefer them to face out, but it's totally up to you, and I think it's great to have options. In the amount of space that a coat takes up, you can now store five pairs of boots using Boot Butler®. I love having easy access to my boots. I can see every pair directly in front of me. I'm not wasting time sifting through a pile on the floor of my closet. 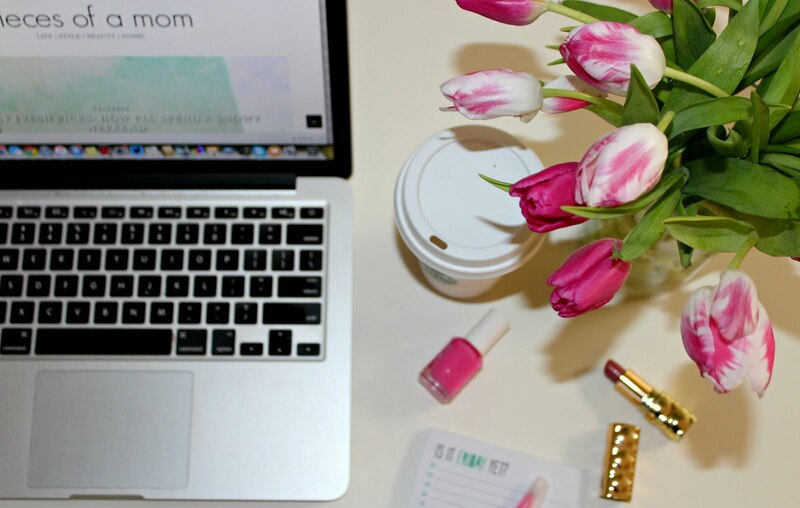 My boots are an investment for me, and Boot Butler® is a way for me to protect my investment. 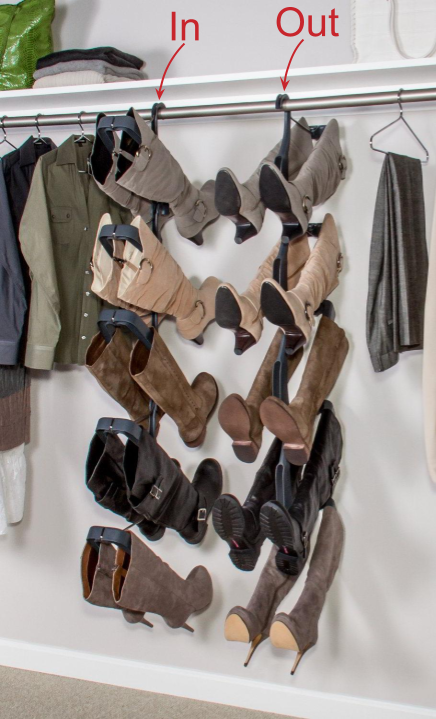 Need more proof that Boot Butler® is the ideal boot storage solution for you? Watch this quick video demonstration. Boot Butler® retails for $69.99 and can be purchased at Amazon.com or directly from BootButler.com. Disclosure: I received a Boot Butler® system to facilitate this review. All opinions are my own.